Argon is the third elements of the Noble Gases with chemical symbol Ar and atomic number 18 (Noble gases family consists of He, Ne, Ar, Kr, Xe, Rn; Rn is not in sale cause is highly radioactive and very dangerous for health, the other are not radioactive). Argon is a colorless gas at normal pressure and temperature. 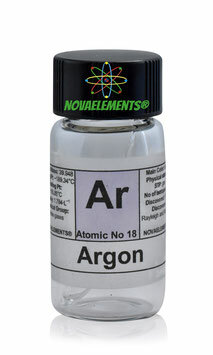 High purity Argon gas element 18 sample in mini ampoule inside glass vial. Very pure Argon gas sample. 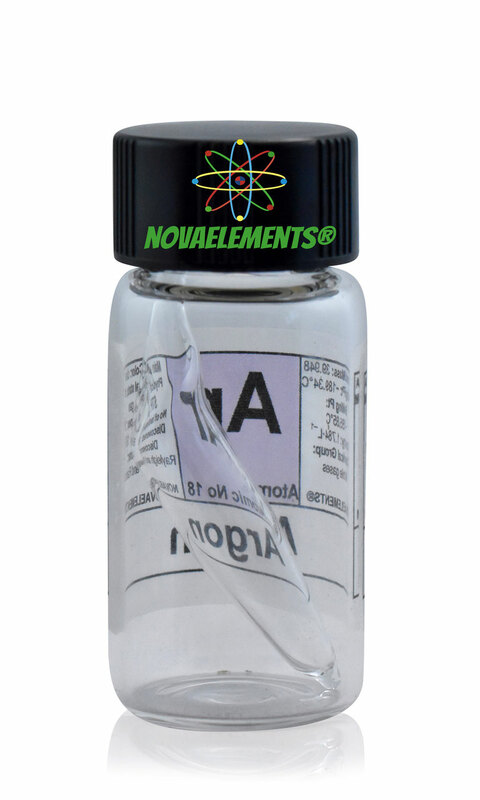 High purity Argon gas element 18 sample in mini ampoule inside glass vial, it is a low pressure sample which can be lighted up with a simple Tesla Bulb (kid toy), not on sale here. 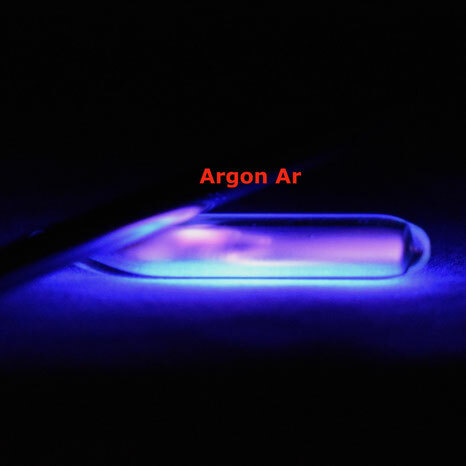 Very pure Argon gas sample. You can find this amazing ampoule only here. Pictures shows real image of the sample.